One way to protect valuable items is to lock them in a strongbox where thieves can’t get to them. Another way is to disguise them in a container that thieves won’t take any notice of. Cover Photo: A diversion wall safe resembling a regular US electrical outlet. Equipped with a small lock, it provides a hiding place for cash, jewellery, or other small valuables (but no electricity). There doesn’t seem to be a version for the European market, where hollow books are evidently more popular. Fake sprinkler heads, artificial rocks, a framed picture of the Mona Lisa with false back, underwear with secret pockets, a hollow dog food bowl—all of these seemingly ordinary objects are camouflaged hiding places, otherwise known as ‘diversion safes’. ‘Canada Dry is the most popular,’ says the clerk at The Spy Zone, a boutique business devoted to nanny cams, police scanners, and night vision goggles. Located in Vancouver, Canada, it makes sense that the store has sold out of diversion safes disguised to look like a can of popular Canadian ginger ale. Only upon close inspection does a seam in the can reveal a lid that unscrews to open a storage space. Sitting in the refrigerator with other cans, a diversion can blends in seamlessly, nearly impossible to distinguish from the real thing, even if you pick it up, since it is weighted at the base to mimic a full can of soda. ‘Young girls, students, old people, everyone buys them,’ the clerk says. ‘Often they’ll buy four at once and cluster them. Or they’ll buy one and then keep coming for more.’ Diversion cans can be found in a wide variety of guises ranging from AquaNet hairspray to WD40 to Axe body spray. Those may seem like odd choices for security equipment, but a study by the Chicago Police Force found that the average burglar enters through a front door, and heads to the bedroom first, on the hunt for cash, jewellery, passports, or drugs. Secondary targets are the home office, the living room, and dining room. Kitchens and bathrooms are often ignored, making safes that resemble food or personal care products appealing. Bim Bam Banana, an online retailer in Copenhagen, offers a ‘best-selling’ diversion safe that looks like a head of iceberg lettuce. More recently, the company has begun to sell a safe that resembles a round loaf of sourdough, complete with crossed knife strokes on the crust. The company’s website suggests that the bread safe could be kept in the middle of a dining room table. The average burglary takes a mere eight to 12 minutes to complete. Many burglars start with the master bedroom, then the living and dining rooms. The least attractive targets seem to be the kitchen and broom cupboard/utility, a reason why many diversion safes are disguised as food items or cleaning supplies. 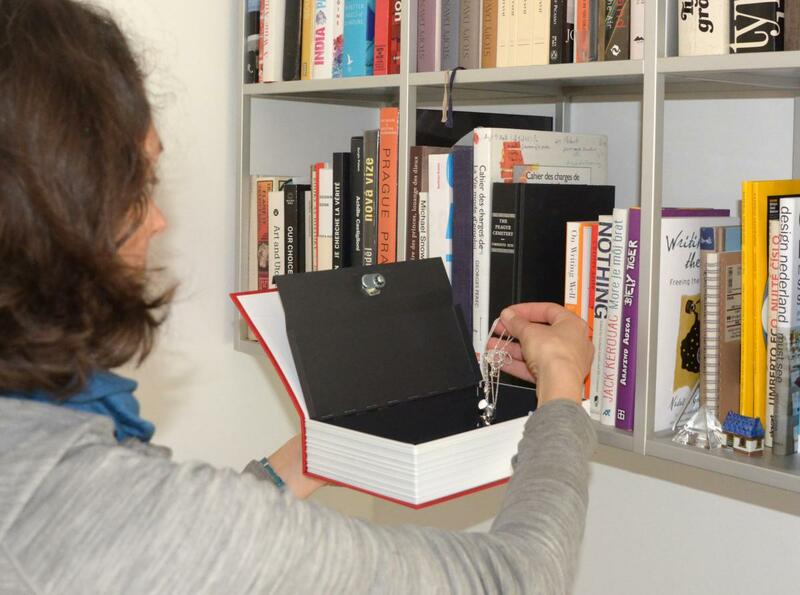 ‘It hides in plain sight, which makes it even more fabulous!’ Cassandra holds up a well-tooled, leather-bound book. It does not appear out of place in her Vancouver antique store, which is bursting with china teacups, old typewriters, and animal skeletons. There’s no title on the cover, but the leather is worked in an intricate Celtic pattern, with gold leaf on the spine. Cassandra opens the cover to reveal a box with a red velvet interior, containing a roll of American notes. The edges of the box are trimmed with glued stacks of paper, creating the illusion of pages. The book safe allows Cassandra’s staff to hide their earnings among the store merchandise under the glass of the oak cabinet that she uses a shop counter. She taps the counter. ‘Now we keep our money right here. It gives me a peace of mind. I don’t even think of it as a book any more,’ she says. ‘Because we use it as a safe, it is a safe. ‘Someone recently asked “How much is that old book in the cabinet?”’ Cassandra looks over her winged tortoiseshell eyeglasses, and widens her eyes to show her discomfort. ‘I didn’t know what to say, so I stuttered that it was a box, and they lost interest.’ Her smile shows her relief. While diversion safes have many legitimate uses, The American Federal Bureau of Investigation (FBI) cautions agents to be aware that ‘just as these products can fool thieves, they can divert police officers during a search, and dangerous items can easily be concealed’. 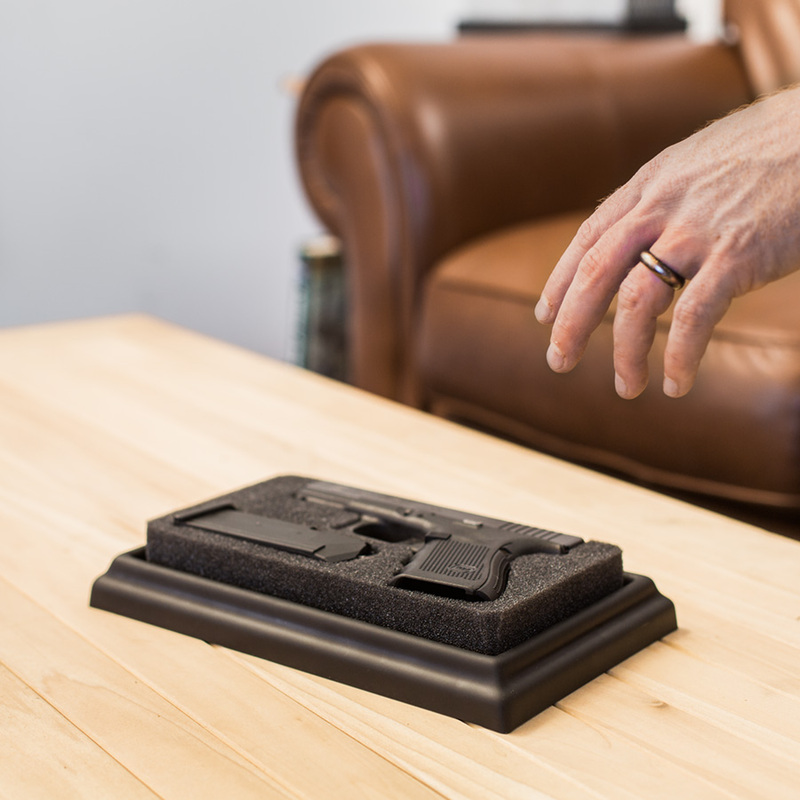 Diversion safes offer equal opportunity for both criminals and law-abiding citizens. Each hollow book takes Spencer three days to make. He begins with an existing book and drives metal reinforcement pins into the perimeter of the pages. He then cuts a cavity in a section of pages in order to make the safe. It is a meticulous process of cutting and gluing, which ends in the pages being pressed several times in a book press as the pages are glued together and a custom die-cut is created. As popular as these small, portable items are, diversion safes can also be large and immobile. 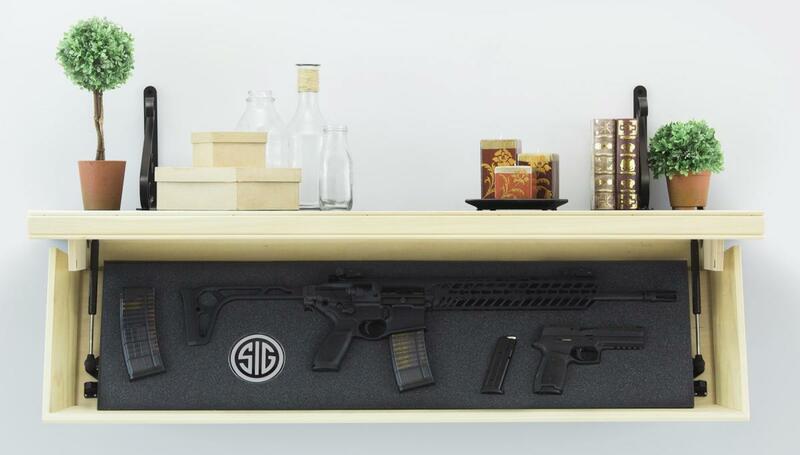 Tactical Walls is an American company that sells gun safes designed to look like ordinary furniture. Wall mirrors swing open to reveal rifles. A tabletop lamp hides a pistol. A sturdy wooden cabinet features not only a flatscreen television that rises through the top at the touch of a button, but also a gun rack that rises on a separate lift (both controlled by the TV remote, of course). Early in the company’s history, Matter created mirror units that were designed to take up little wall space, but to hold several rifles inside the wall behind the glass. The mirrors open to either side, for ready access. 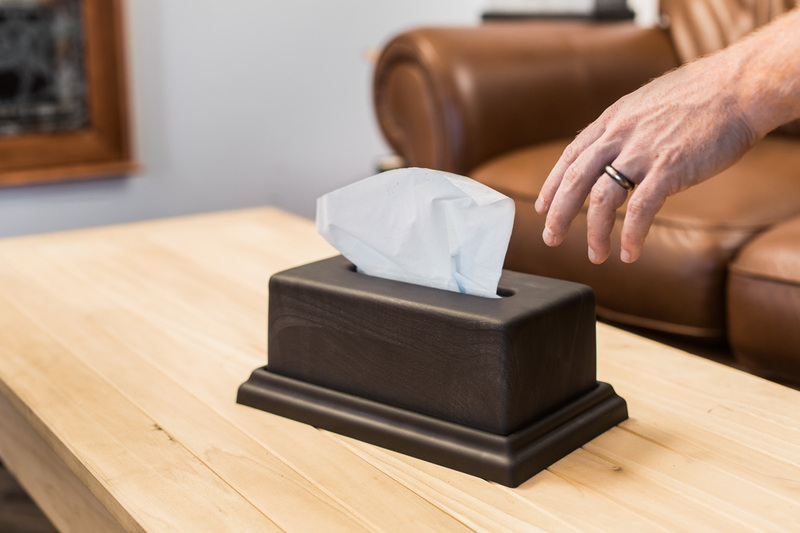 As popular as the mirrors were, Matter discovered that some people, such as renters, weren’t able to cut holes in their walls, so the company expanded its selection to include clock safes that can be screwed to a wall, and an easy-to-open tissue box safe, ‘the issue box’, that can sit on a side table. There is also a series of colonial-style shelves with drop-down storage spaces (available in several wood finishes). Some of the company’s products are designed for quick release and are non-locking; others, such as those designed for homes with children, come with a lock. Tim is currently experimenting with a catch that is controlled by a key fob via radio frequency identification. Leanne Prain is a writer and communications designer who lives in Vancouver, Canada. She is the author of three books on textiles and culture. She keeps her valuables in a globe-shaped tin piggybank from the 1970s.